The industry’s smallest POS 2" receipt printer in its class, the TM-m10 thermal receipt printer saves valuable counter space, while offering the freedom to print receipts from virtually any mobile device and/or desktop PC. Ideal for cramped spaces, its modular casing can be easily switched from a top-load to front-load configuration. This versatile thermal printer offers smooth integration with existing mobile POS environments, intuitive functionality and advanced connectivity for effortless configuration. The TM-m10 is the first of its kind designed exclusively for small businesses. Featuring ePOS™ print technology, it works with iOS®, Android™ and Windows® mobile devices and desktop PCs, and offers fast, easy setup. 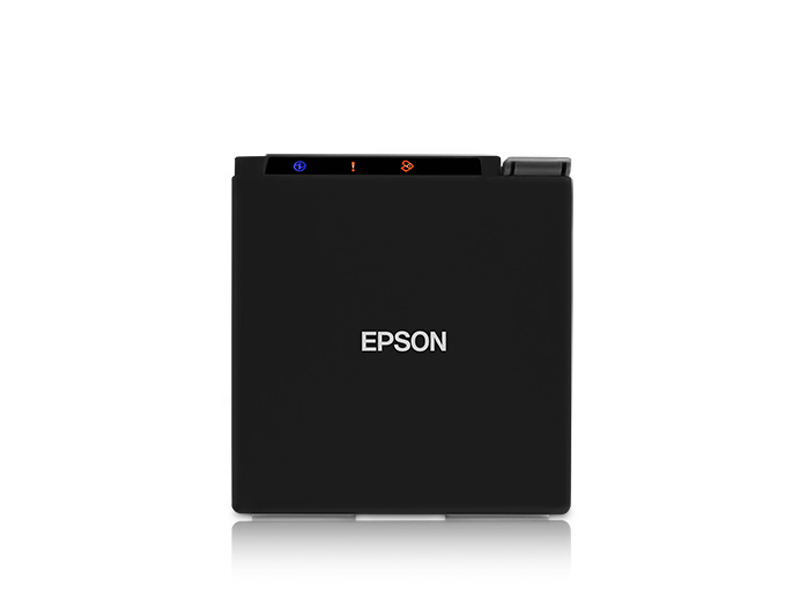 Will my Epson TM-M10 print from Cash Register Express? Yes. If you install the windows driver for the TM-M10, you can select it in the Friendly Printer Setup section. 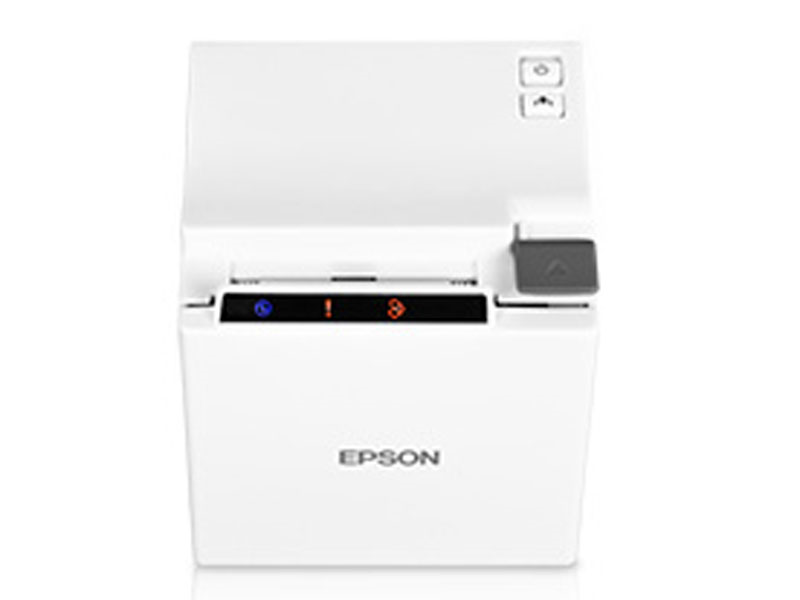 How do I pair my Epson receipt printer with an Andriod or iOS device. Can a Square system be set up with any Epson Receipt Printers? 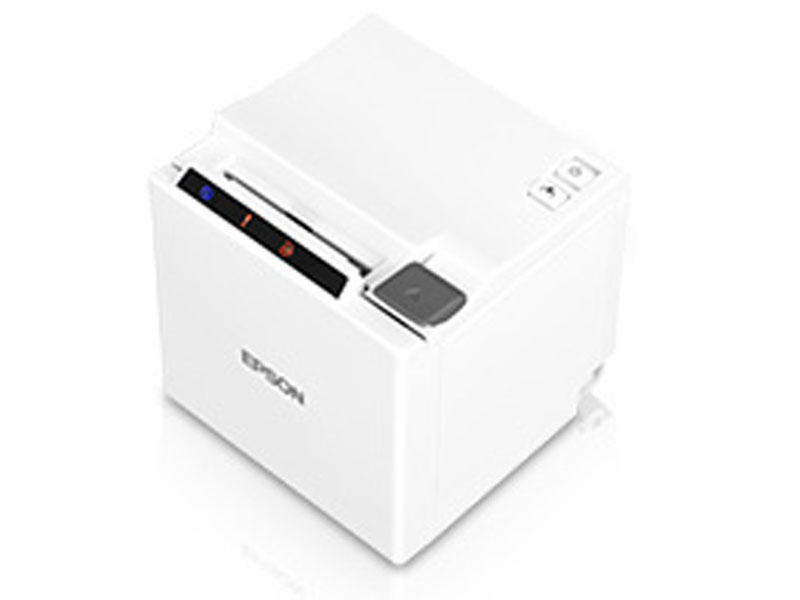 March 2017 - This is the mini version of the Epson desktop receipt printer. It has the same connectivity options as it's bigger brothers (M30, TM-T88V) but on a smaller receipt format. For businesses that don't always print receipts and want to save some counter space or hide the receipt printer this little printer has one of the smallest footprints possible. Find it faster! Click here to compare TM-m10 models by feature. Hi, Travis from POSGuys.com. Today we'll be reviewing the M series of printers from Epson. This is the TM-M30 and the TM-M10 receipt printers. They're both thermal receipt printers, they're similar form factor where they're very square. This is the 3-inch version, this is the 2-inch version. By 3-inch version, this means this uses standard receipt printer of 3 inch width, and this uses a 2 inch, smaller receipt paper. They're both top load or front load, this is set into front-load version, this is set in to top-load version. They print at a reasonable rate, this is an 8-inch per second, and this is a 6-inch per second. The 8-inch per second is the same as the current model TM-T20ii version, so it's the same print speed, it's just a much more compact form factor. These printers aesthetically match up really well with a mobile type of set up. So if you're using an iPad, a Surface tablet, you have a small stand and you're using a very compact set-up with a very small cash drawer, then these are kind of designed to meet that look, and are very space-saving. The LED lights are also changed from like a traditional green to being a glowing blue, so much more modern looking receipt printers than you see traditionally. Interface-wise, these both have USB. They're also available with Bluetooth or Ethernet, and then NFC is also in an available connection, at least coming soon to them. To adjust to front load and top load, you take the two covers off, and then you switch it. One of the sides has little rubber feet, so if you move that. And then you replace the second cover, now you're in a top load version. Status lights on the printer are available in this bar at the top. When the cover is open, you'll get a warning, when it's out of paper you'll get a flashing warning telling you you're out of paper, so very handy, and then there's a little icon that kind of tells you what the different errors mean. The M30 prints at a nice 8 inches per second. The M10 prints at a slightly slower but still very good 6 inches per second. So in the scheme of "would we buy these printers?" it comes down to would we buy these instead of other Epson printers? I would probably recommend the T20II the most out of all the printers, I think for the price and features and warranty, the T20II is your best bet. 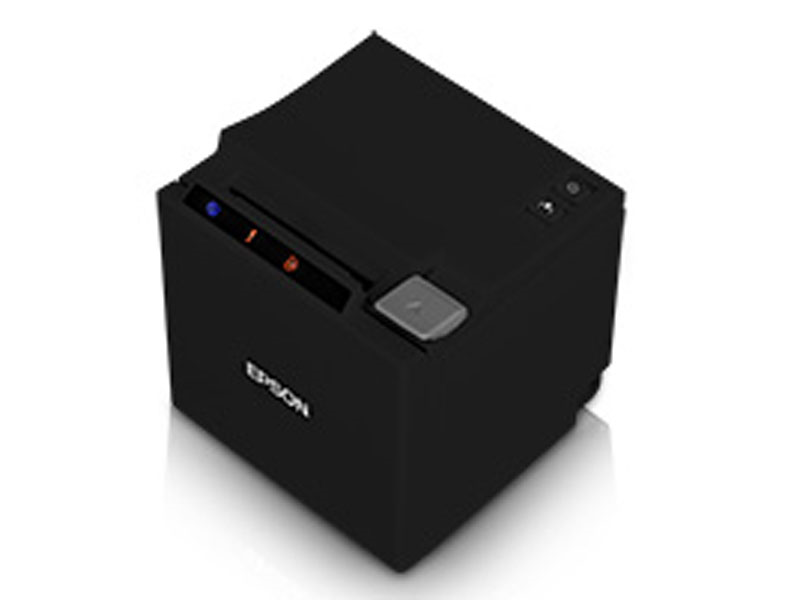 If you are worried about space though, take a look at the M series, especially the M10, it's very very small compared to older receipt printers. The styling on both of these are better than the T20II. If you're looking for just pure performance, pure reliability, pure speed, the T88V is still your best bet. So that's kind of the Epson overview of all their printers. Good printers, probably at this time not their best printers, but they are space saving options, and there are some unique pairing capabilities, so if you're on a tablet or something like that and you don't have a USB port, then take a look and see if a proper interface is available for you. To purchase these printers, or for more information, please visit us at POSGuys.com. Thanks!